Adore presents a beautiful bracelet that is marked with turquoise accents, embellished with the letter A to mark its design. 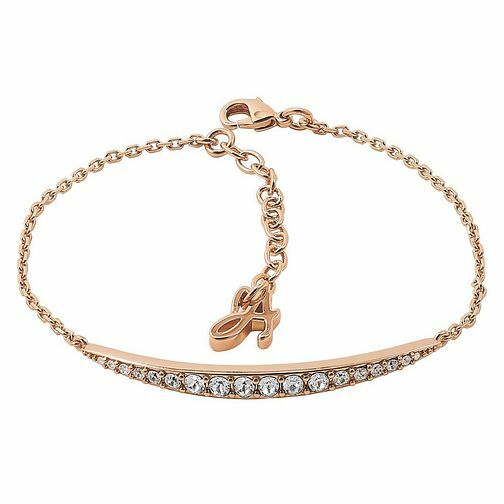 Adore' Ladies Rose Gold Plated Curved Bar Bracelet is rated 5.0 out of 5 by 2. Rated 5 out of 5 by Anonymous from Love it Really pleased with the bracelet. Really pretty. Lovely quality gift.